Tim Tebow's impact on the football field for the New York Jets can be debated, but his financial oomph should be a big positive for the organization. Tebow, one of the most popular players in the NFL, should help the Jets sell tickets, jerseys and other apparel, and open up the organization to new endorsement opportunities. It boosts their merchandise sales; there are going to be a heck of a lot of Tebow jerseys sold, said Bob Dorfman, executive creative director at Baker Street Advertising. There will even be more [Mark] Sanchez jerseys sold as fans take sides. I would think there would be more sponsorship dollars for the team. All told, Dorfman said, the Tebow deal could be worth tens of millions of dollars to the Jets. The franchise should see a major boost in the amount of jerseys sold, though merchandise sales are split evenly among the NFL's 32 teams. 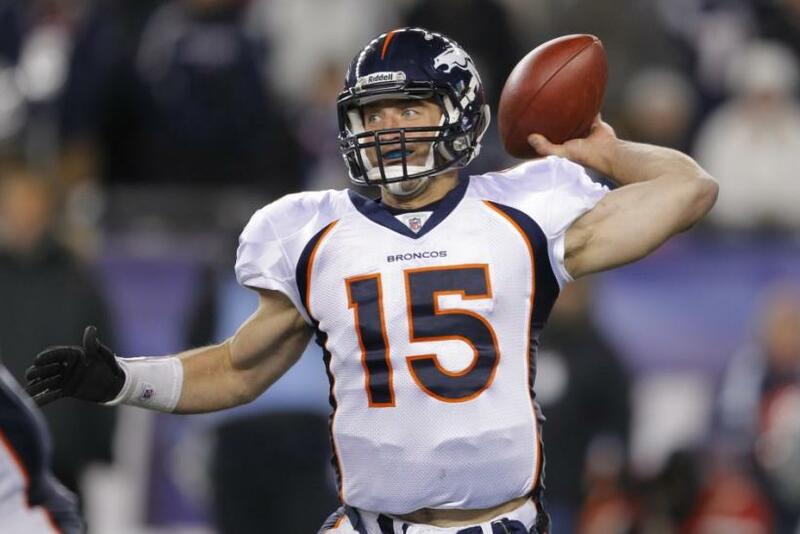 Tebow had the second-highest jersey sales in the league in 2011 and many fans could be interested in buying a new green-and-white Tebow jersey. They might have to wait a bit to get those duds due to the NFL's switching vendors from Rebook to Nike, but fans are already looking to get their hands on Tebow memorabilia. We don't have an ETA on the jerseys right now, Jason Karlowski, a Modell's Sporting Goods spokesman told the Long Island Business News. But we will have the name and number T-shirts in stores by Friday. We've already had several people come into our stores today looking for Tebow shirts. That new interest generated through Tebow is particularly important when battling for regional deals with the rival New York Giants. The Giants, coming off a Super Bowl-winning season, are the more valuable team on the field, but pairing Tebow with the already-marketable Mark Sanchez could swing advertisers and sponsors in the Jets' favor. You have arguably one of the most marketable players in the last five years with Mark Sanchez already on the team but the best thing is that there are sponsors and brands that might not be interested in Sanchez but would be interested in Tebow, said Joe Favorito, a sports marketing expert and Columbia University professor. Those two speak to a lot of different options for fan, team marketing. His move to the Big Apple could also help Tebow land endorsement deals, but a lot will depend on his on-field performance, according to Favorito. He says that when it comes to NFL endorsement deals much consideration is given to players who play well. Quarterbacks Peyton Manning (now with Denver) and Aaron Rodgers, for example, have scored big endorsement deals even though both play in small markets. I don't think anyone should assume just because he is coming to New York, people will write big checks for him, Favorito said. If you don't perform, you can become an after-fact very quickly. You really have to do well to drive the money. Dorfman agrees that if Tebow doesn't get a lot of playing time this season, the move won't be a huge boost to his endorsement money, but added that it never hurts to move from a midsize market such as Denver to the world's media mecca. The San Francisco-based sports marketing expert estimates that Tebow is currently bringing in a few million dollars a year from endorsements, but that number could jump to $10 million if he gets significant playing time with the Jets. He has endorsement deals with Nike and Jockey but could add seven-figure deals with regional banks and car dealerships, for instance. Dorfman also doesn't expect that Tebow will lose any endorsement deals even though he drops from being the starter in Denver to backing up Sanchez in New York. He will still get a lot of attention in New York whether he's playing or not -- I don't see him losing deals, he said. There will always be opportunities because of his personality; because he's such a safe investment for companies. It's such a risky endeavor now with athletes but you have somebody like a Tebow, who is a devout, clean living guy so there will always be a lot more opportunities for him.